There are patients in hospital settings whose quality of life is unrecoverable without timely care (we call these patients time-critical). 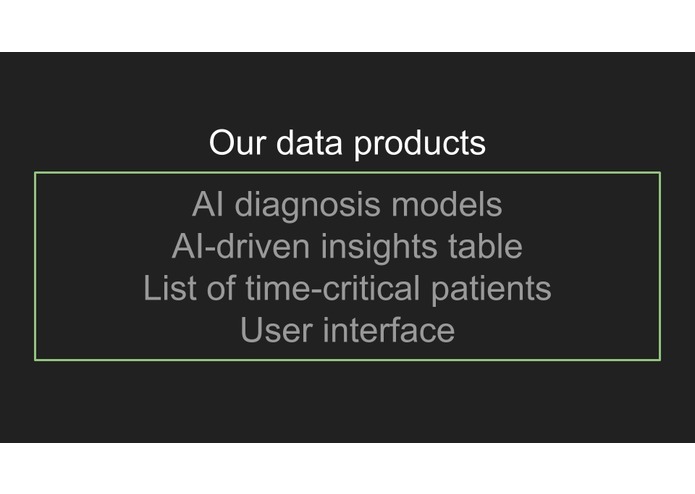 Leverages our trained artificial intelligence models to suggest nuanced diagnoses to doctors and to identify time-critical patients. We found a dataset of breast cancer images in the industry-standard format. We preprocessed the images to make the artificial intelligence learning process tractable (remove noise). 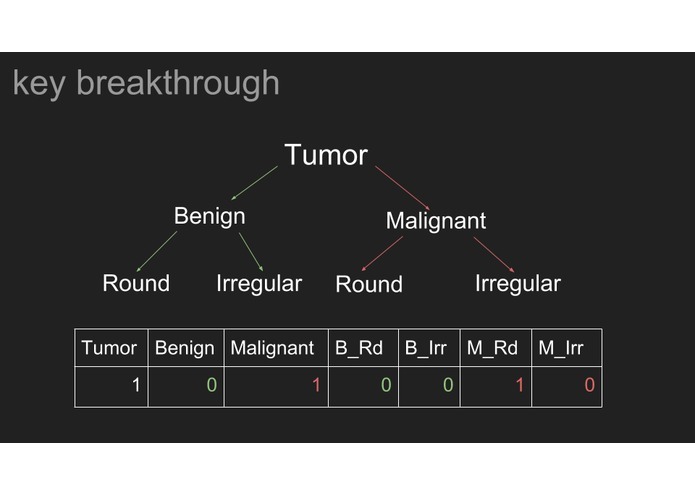 Then we trained several deepnet models to learn our custom diagnosis labels (presence of tumor, threat level of tumor, regularity of tumor shape) built from the dataset. 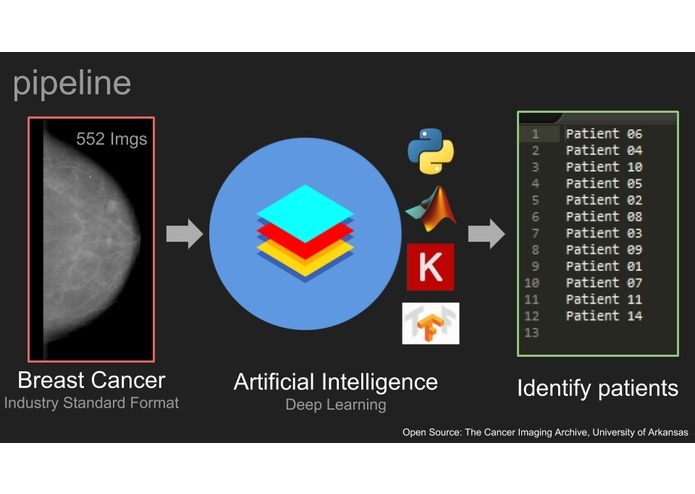 These models are packaged into a no-nonsense front end that doctors can use to direct a disease-specific AI model to diagnose a set of new images and patients. 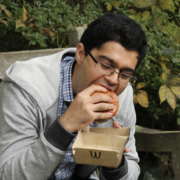 We present the data in a format that highlights which patients are time critical. 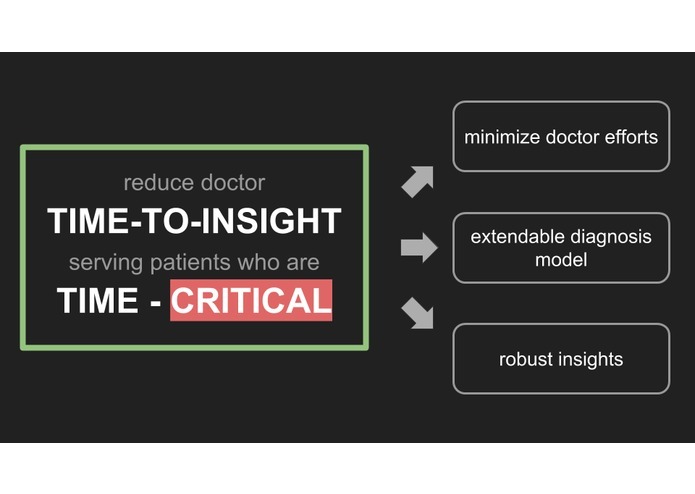 The UI also presents deeper insights that may guide tailored treatment. Restricted data volume. Lack of compute power for building the most-sophisticated AI. Poorly-constructed and non-informative datasets. 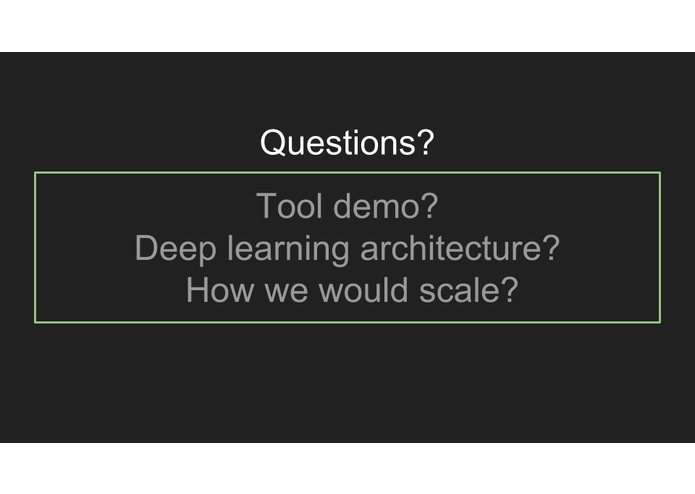 We fully completed a deep learning rapid prototype (data, preprocessing, training, analysis, decision-making, deployment). Our UI does come with models that are ready for inference. 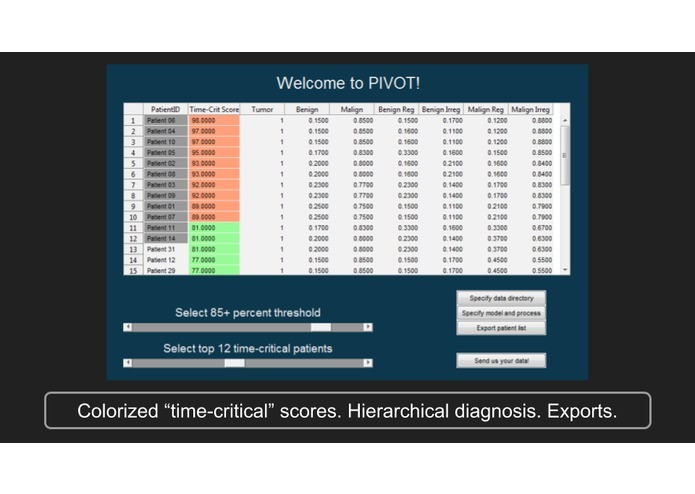 The UI also produces lists of time-critical patients. In summary, we have a thing that actually outputs useful files. You never ever know if you have hit your ceiling on how well your AI can make decisions/predictions. So you just keep trying to get your AI to learn more. Expand the collection of diseases that we analyze and build smarter AIs/networks. 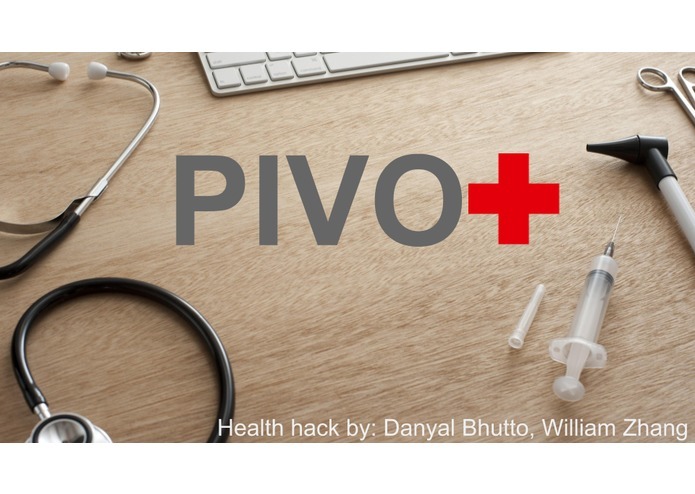 PIVOT may evolve to be just one tool in a toolbox for doctors. The vision is to facilitate the medical industry leveraging deep learning capability.